Nothing much tops birding in autumn. The days are crisp and cool. There are more birds in autumn than at any other time of year. 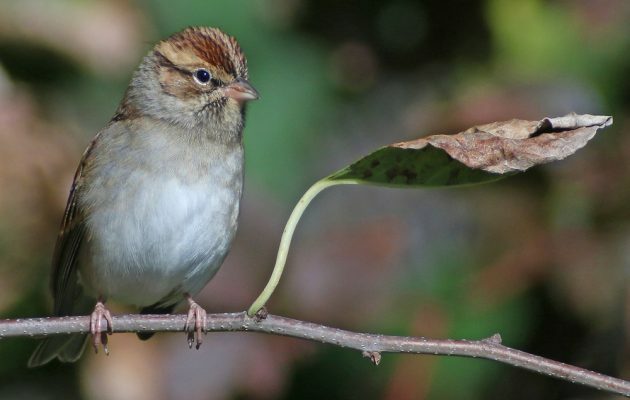 Sparrows predominate but there are a host of other species to find and identify. If it’s a good finch year like this year is there is the ever present knowledge that something awesome, like a crossbill or a grosbeak, might cross your field of view. Nice weather, lots of birds, and the potential for rarity. What else can a birder ask for? So, of course, I’ve been out and about looking for birds as often as family and job allow me to. I’ve scoured some inland parks in Queens, led field trips for New York City Audubon, and watched morning flight on the coast. It’s been a great autumn so far and we haven’t even reached that most exciting of months, November, when the mind-blowing rarities tend to pop up out of nowhere! 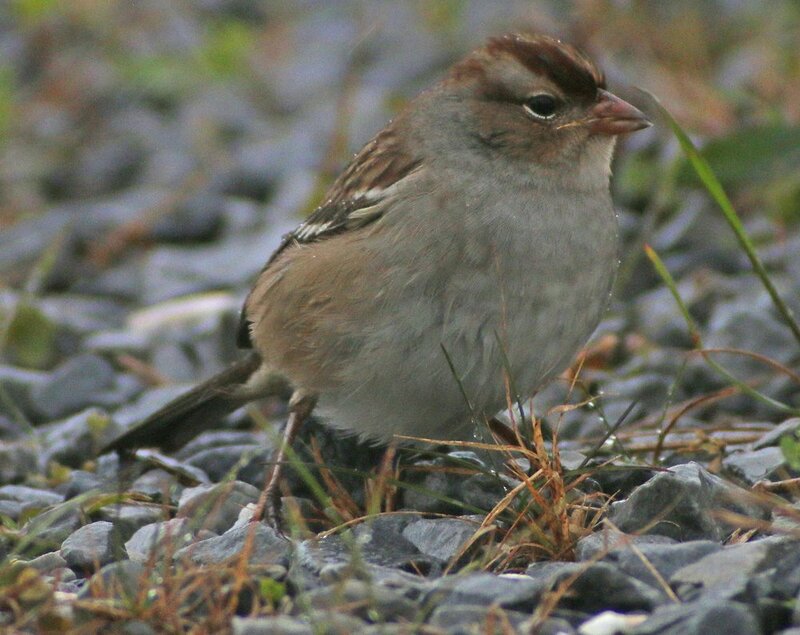 Though not as crisply marked as a spring bird I think fall Chipping Sparrows have a muted beauty. This one was at Fort Tilden. Every fall I am again amazed by how close kinglets are willing to let me approach. 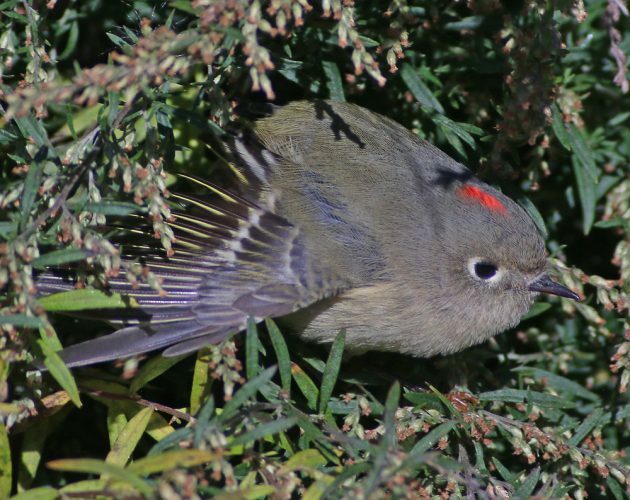 This Ruby-crowned Kinglet was using its wings to propel itself through vegetation. I like Eastern Phoebes a lot as they come back earlier and leave later than any of our other flycatchers. There’s something to be said for a bird that sticks out the tough weather. This one was flycatching from tombstones at Cemetery of the Evergreens on the Brooklyn-Queens border. 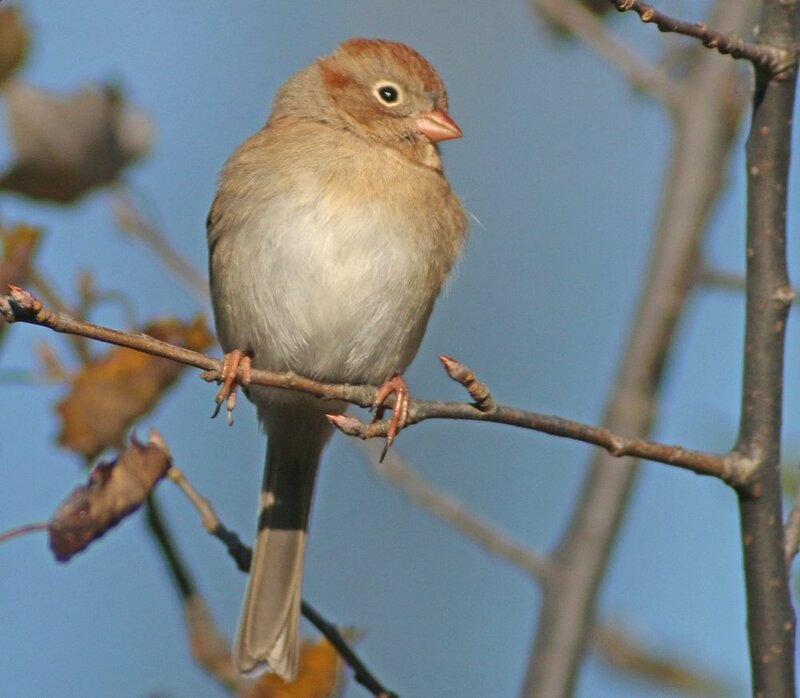 For some reason this Field Sparrow popped up onto a branch over a trail I was walking at Fort Tilden. So I took its picture a few times and then continued on underneath it. 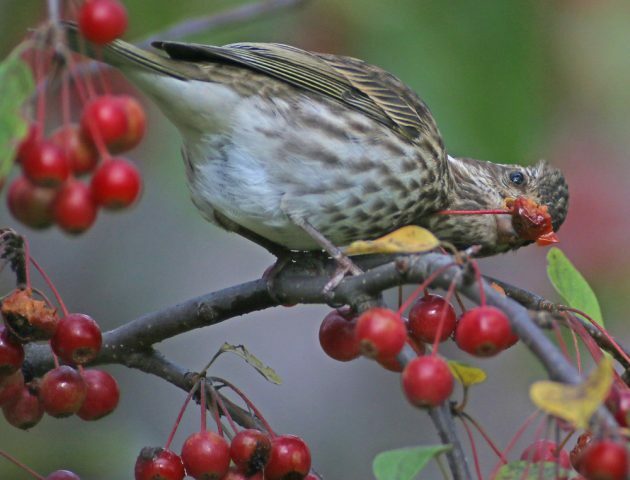 This Purple Finch was really chowing down on some crabapples at Queens Botanical Garden. Does anyone know if they eat the flesh of the apple or are they like Pine Grosbeaks, only after the seeds? I couldn’t tell. 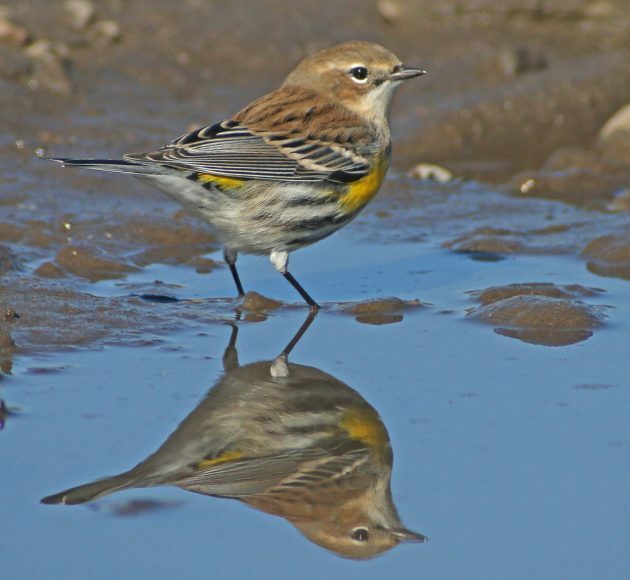 This Yellow-rumped Warbler paused in a perfect pose by a puddle out in the dune scrub in the Rockaways. Young White-crowned Sparrows don’t have white crowns. What a lousy name. This youngster was feeding at Edgemere Landfill. 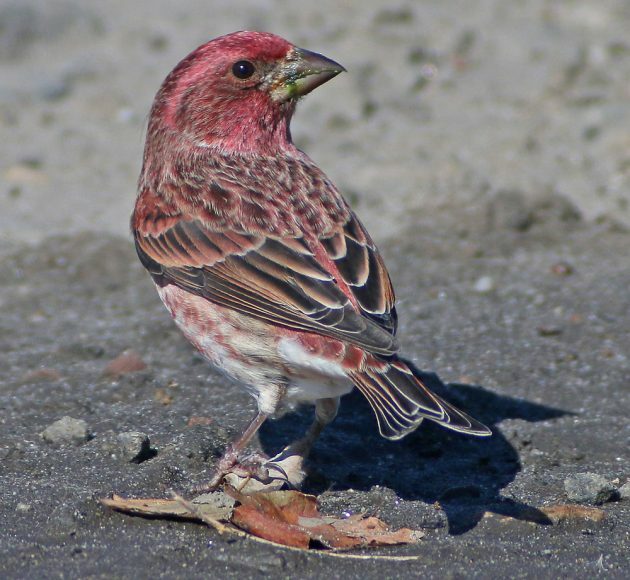 I’m still in shock at how gorgeous this Purple Finch is. And in good light? And close? 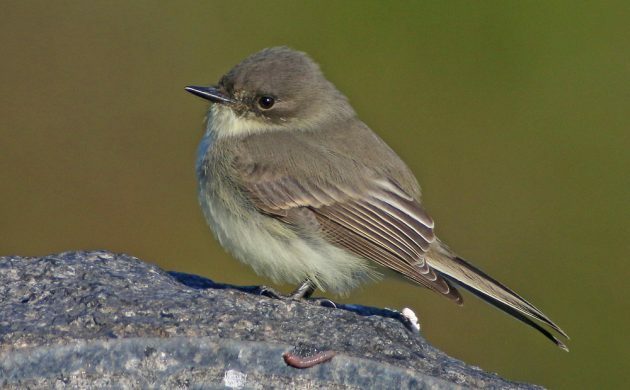 No wonder I keep birding the Rockaways! 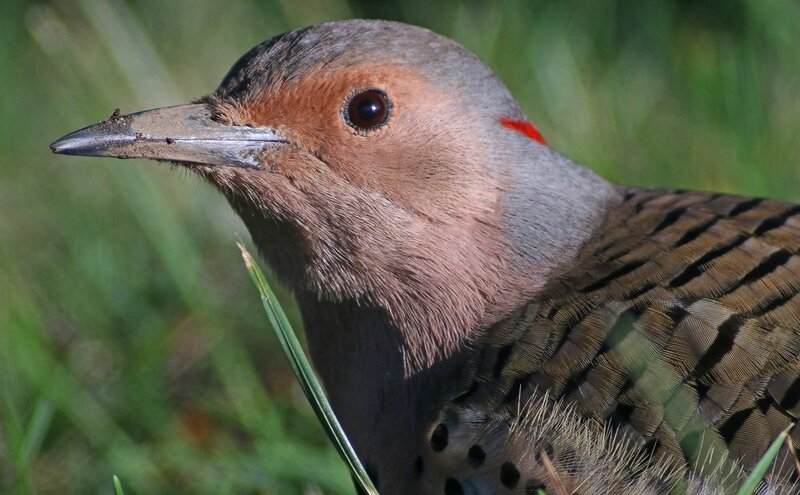 No fall birding outing in New York is complete without a Northern Flicker. I am so sick of these birds. This bird’s beak is dirty with grave dirt because it was feeding in the Cemetery of the Evergreens. How macabre! I can’t wait to get out again next weekend. It’ll be November which means rarities will be dripping from the trees! What will I find? 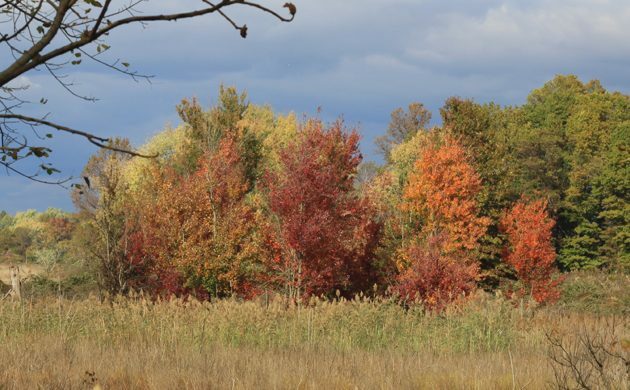 October is usually when my patch is at its best, and this year was no different. I really love getting out this month. Eagle, Owl, Shorebird, or Parrot?